Why do tantrums happen? Do you worry about your toddler's defiant behaviour or complete lack of fear? Or maybe you're just fascinated by your toddler and would like to learn more about what makes them tick. This excellent DVD explains in simple terms why toddlers do the things they do - including those that parents find so challenging. The DVD shows how best to avoid conflicts. 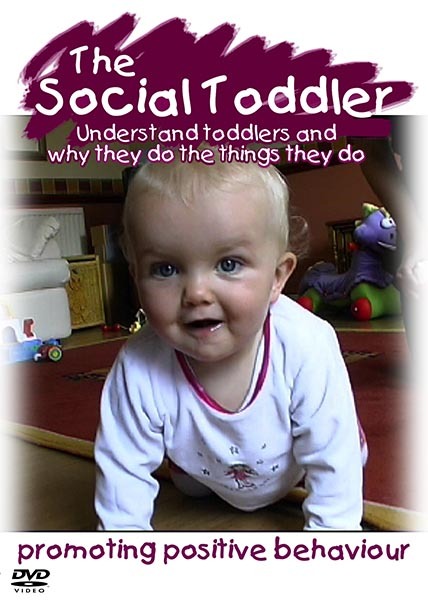 Using video footage from the book The Social Toddler Helen and Clive Dorman present this half hour DVD and explain how the toddler's developing brain has such an impact on everything they do. Every day and every thing is a challenge to be met, explored and understood - an essential part of how toddlers learn. This DVD doesn't tell you how to parent - you won't find a 'naughty step' here. Helen and Clive simply explain what's going on in the toddler's world. Once this is understood, responding in ways that avoid conflicts become so much easier. A world away from the rash of quick-fix TV shows - significantly better and longer lasting. Clive and Helen Dorman are directors and co-founders of The Children's Project.